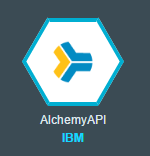 This tutorial explains step by step how to use the semantic analysis service on IBM Bluemix. 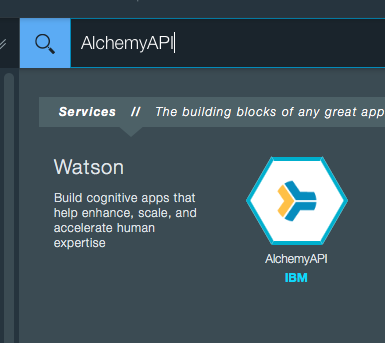 AlchemyLanguage is a collection of APIs available in IBM Watson for analyzing text through natural language processing. In this post, we show how to create a browser extension that can extract insights—such as concepts, keywords, and emotions—from text on a page. When using AlchemyLanguage, which is a collection of functions for text analysis, you can input text, HTML, or a public URL to get semantic information from content. Concepts. The service will look for concepts with which the input text is associated. It understands how concepts relate and can also identify concepts that are not directly referenced in the text. Emotions. The service is able to identify the overall emotional tone of a page, recognizing anger, disgust, fear, joy, and sadness. Keywords. This information includes important topics that are commonly used when indexing data, generating tag clouds, or searching. For more details, refer to the IBM Watson documentation. 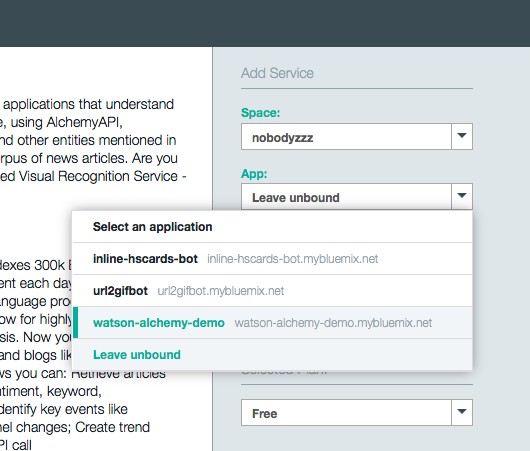 Update the service URL in the extension sources (extension/src/common/main.js) by replacing watson-alchemy-demo.mybluemix.net with your application URL. The results of the build process will be located in extension/output/. Refer to your browser documentation on installing extensions. Alternatively, you can create and bind the service instance using the Bluemix dashboard UI. Go to the GitHub account to deploy the application to IBM Bluemix. Stas Turlo is a software engineer at Altoros. He has 10+ years of experience in reverse engineering, object-oriented programming, cloud computing, and data analysis. His expertise includes reconstructing algorithms, file formats, and structures of binary data. Using Golang and Ruby as his primary tools, Stas is also proficient in Python, C / C++, and C#. You can find Stas on GitHub.